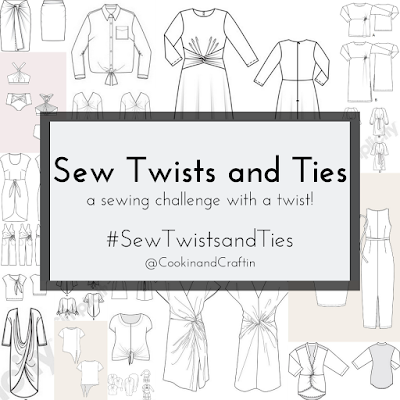 I'm excited to be part of the team organizing this new sewing challenge, along with Teri, Heidi and Jessamy! 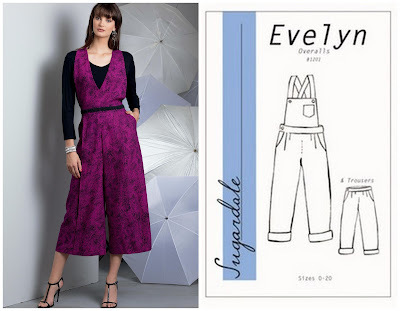 Read all the details about the challenge over on Teri's blog, including the pattern and fabric discounts we've arranged. There will also be a pinafore pattern round-up on Teri's blog later this week, as well as RTW inspiration on Heidi's blog and inspiration from the sewing community on Jessamy's blog. 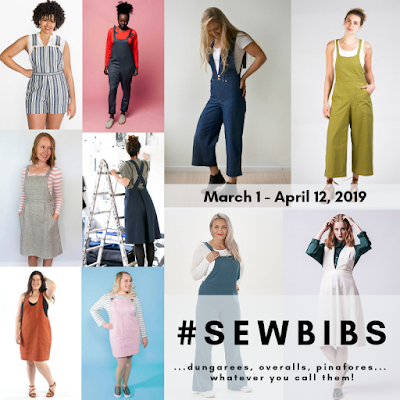 Head to #SewBibs on Instagram to see the projects coming in... you may want to consider following the other organizers and/or the hashtag so you don't miss a giveaway! 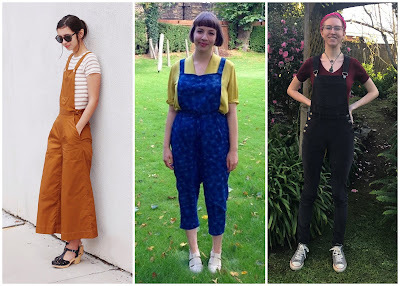 Today I've got the first sewing pattern round-up of our little challenge and it's all about overalls. 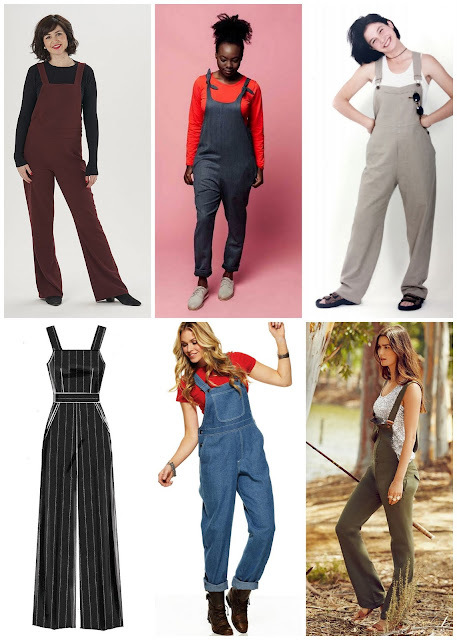 Overalls, dungarees, bibs: lots of names, one general concept: two tubes, a bib and some straps. 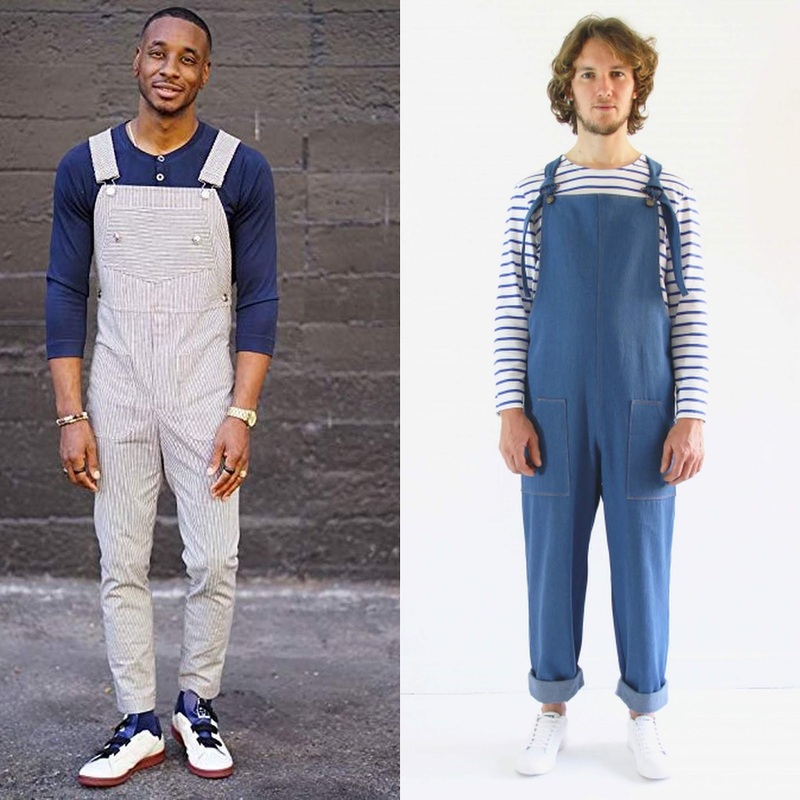 Scratch that: sometimes the straps are the bib. I love the wide variation in style in the overalls patterns out there! Fitted, loose, modern, vintage, rugged, elegant... so many options. I also want to highlight for my curvy friends that I've noted those patterns that have at least one measurement over 50"! I'll fully admit that overalls used to be one of those garments I wasn't sure I could pull off. But after making a couple of pairs (see: Burnside Bibs, Jenny Overalls), I was hooked! 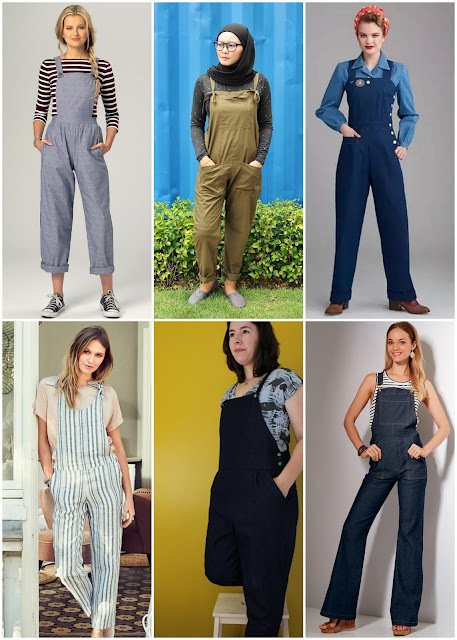 I hope if you've been considering sewing some overalls that this challenge will push you to give them a try. 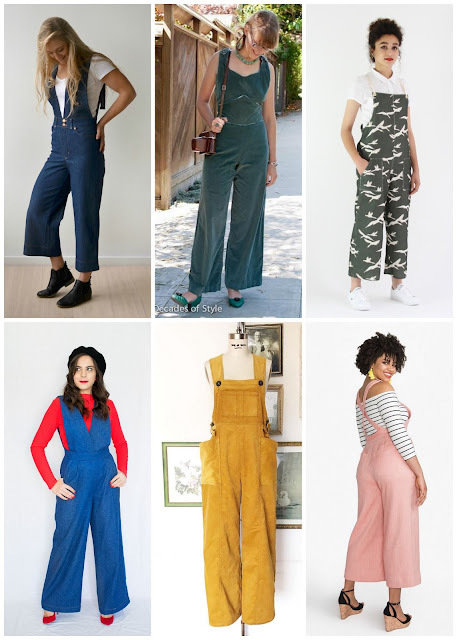 Don't want to buy an overalls pattern? 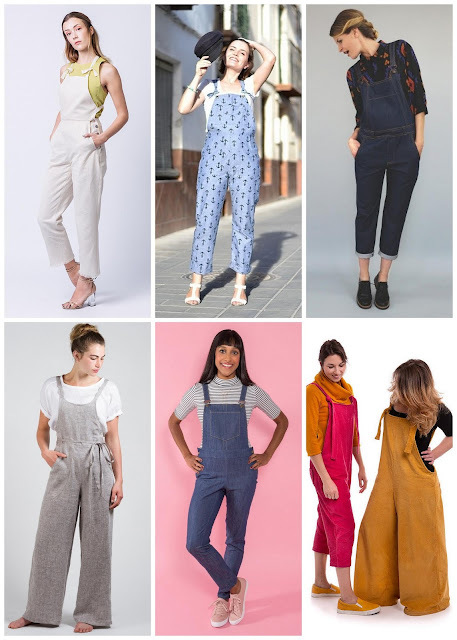 Hack a pants pattern! Thank you thank you thank you for this marvellous overview! 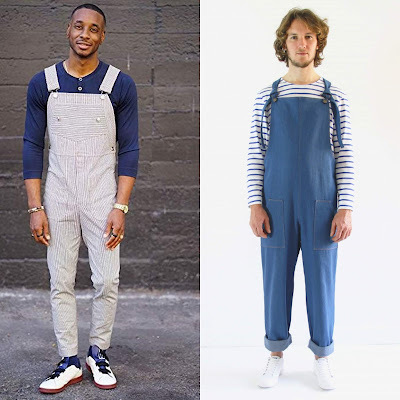 I've been toying with the idea for years, may actually take the plunge now. One note though: some of the pattern names are sorted simply left to right in rows (at least 1 and 4), while others are sorted clockwise. This confused me for a second, maybe you could change it? Fixed it- thanks! Ha, I think my brain went crazy with all that linking and looking at size charts.